I'm glad Richards scored, he wont feel so bad about the penalty now. We have drawn Sunderland in the next round, that will be a very tough game against Sunderland 1st team but they are chasing promotion so not sure if they will field a strong 11. However, they did in the last round beating Newcastle academy team 4-0. Maybe that's because they couldn't afford to lose that one. Imagine Sunderland 1st team losing to Newcastle's academy. North East social media would have gone into melt down. Point of note. City ladies are also semi final bound in the womens conti cup. They won 7-1 last night beating Brighton. Last 4 are city, arsenal, Chelsea and United. Please draw the rags. Wonderwall wrote: We have drawn Sunderland in the next round, that will be a very tough game against Sunderland 1st team but they are chasing promotion so not sure if they will field a strong 11. However, they did in the last round beating Newcastle academy team 4-0. Maybe that's because they couldn't afford to lose that one. Imagine Sunderland 1st team losing to Newcastle's academy. North East social media would have gone into melt down. 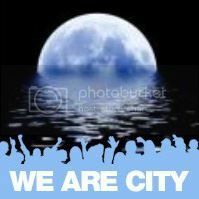 I am hoping the EDS game will be a wednesday as I would have a chance of getting up there to watch it. Utd women need taking down a peg or 6.They are going to walk the WSL division 2 and have beaten two WSL 1 teams to get to the semi. The semi will be a massive test for them and if it's City we just have to beat them. Trouble is we are not playing that well. 7.1 against Brighton sounds great but I thought we were very average for much of the game and a gloss was put on the score as we scored 4 in the last 5 minutes! Good 4.1 win for the 18's in the youth cup tonight. Strange game in a way.When we were 3 nil up quite early I was thinking it doesn't really feel like we deserve to be 3 up as in some ways it was quite even. After that we could have had another 6 or 7 with the chances we had running at them but the quality was lacking on the final ball /timing of the pass or the finish but heyho can't complain at an easy win. Interesting to see Tommy Doyle in the Dinho role as I normally expect him box to box. Looked ok too with good reading of the game and passing. The odd occasion when he got wrong sided but overall he played well. Looked even better when McDonald took over that role and released into his normal role. Some great flashes of quality through the midfield from Felix Nmecha but he was one of the guilty ones with the final bit. Braaf also looking dangerous with his running but he had a night to forget in terms of the final pass/shot even if he did score one aided by a wicked delection. Great to see Touazi back scoring. Looked a great prospect when he first came into the team , then very quiet ( some injury issues) but 2 nice goals tonight. The first was very much all down to him as he turned his center back really well ( he probably should have done better) then held off another defender as he closed in on the keeper and slotted it past him.The 2nd was a tap in after a great cross from Ben Knight who was put in by a great ball inside the full back I think from Doyle. Good at the back mostly with Garcia and Bellis-Harwood at the center. Frimpong at right back who I thought had a very good game and Ogbeta on the left. Lots of playing the ball around the back and they are good enough to do it ( not to sure about Ogbeta as his positioning for a pass doesnt always impress) but overall it did get us through the press and into some great attacking positons. Shame as I said we didnt make the most of them. Finished 2-0, semi-finalists are Portsmouth, Bristol Rovers, Bury and Sunderland. Under 18's game v Stoke today. How many of this lot have you heard of? A really young side which lost 2.1. Probably deserved to lose but it was close. I didn't know a few of the players and I heard we had 3 under 16's and 2 under 15's involved. The left back Oduroh looked about 13! Biggest disappointments for me were Ogundby and Wright-Phillips. Didn't quite do enough and were offsid e afew too many times in key moves. Doyle I felt was our star performer. He wasn't perfect at all but you can see the quality along with an enormous desire and effort. Some great passes and driving runs and his crossing abiltiy is exceptional. It was his fierce free kick that we scored from and he nearly scored direct from a corner with a very strong inswinger. Hamilton and McNeil came across from the 16's game to come on as subs in the 2nd half. A few familiar names, but most are new to me. Looks like Tommy Doyle's six months out hasn't set him back too much. Dipstick wrote: A few familiar names, but most are new to me. Looks like Tommy Doyle's six months out hasn't set him back too much. He is probably back 100% now and has used the 18's game to get the fitness back. I expect he will play more EDS from now apart from the cup games. His grandfather was there watching as usual and along side big Joe Corrigan in the first half. EDS last night and the 18's cup game against the swamp reds this morning. The EDS game against Brighton was pretty awful. I think it would true to say that Brighton had one attack in the entire game and won one nil!! City were quite poor despite having the ball most of the time in an attack v defence game but hardly ever did it feel like we would score. Brighton played a rigid 5 at the back and a defensive 4 in front of them and the 6 foot 4 number 9 did more defending than anything. The biggest problem we had was playing without a center forward. Poveda was played there but he is our most creative wide player so put him up top in the land of giants wasnt a good move. Experience for him no doubt. Our wide players on the night were Garre and Frimpong. Garre seems to try hard but only ever gets past a man cutting inside which is usually into the pack. Add that he has no right foot and he becomes almost useless. Frimpong on the other side is very quick but he is a full back and I think it showed. He just doesn't know the position and how to run off the ball. Experience for him as well. Central midfield were Bernabe and Taylor Richards. Both did very little although Bernabe did bring the 2 key saves out of the Brighton keeper. Richards was especially disappointing for me and when he went off Doyle came on and brought some much needed energy into the game. We huffed and puffed and just hadn't got it. So onto the 18's big game this morning and I was pleased just to get in after hearhing on Friday that nobody would be allowed in! It was actually a fairly competitive game even though we won 3 nil. The first goal was a low screamer from Felix Nmecha, the 2nd a curler from Fis Dele-Bashiru with his wrong foot in off a post and the third another excellent shot from Nmecha which caught the keeper out as he cut in from the left. Again we started with no real center forward but using Ben Knight in that role.That's like Bernado playing center forward. On the left Ogunby threatened but didnt deliver and on the right Wright Phillips didn't threaten at all and was mostly useless. In the middle Tommy Doyle, after 30 minutes last night, basically bossed the game from the defensive sitting role. A couple of mistakes but overall excellent. Harwood Bellis at center back, also after some minutes last night, was very good and McDonald playing at right back was also very good. We could have had more in the end, especially with a Charlie McNeil miss but I guess Utd could have scored one as well as they started to threaten once they were 2 down. On BT Sport 1 if you can't get to the match. Not on! Looks like betfair tv guide balls up. Anyone watch the game? I have taken my eye off the ball lately with the youth team! Dubciteh wrote: Has doug retired? ?